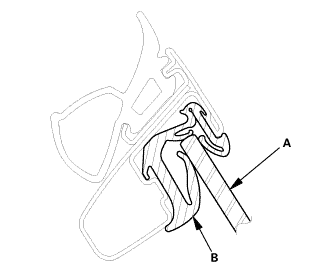 Remove the screw (A) and the bolt (B). 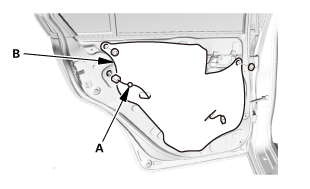 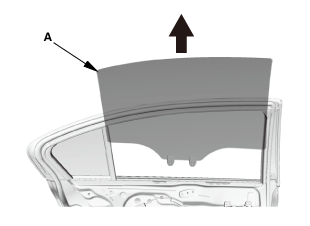 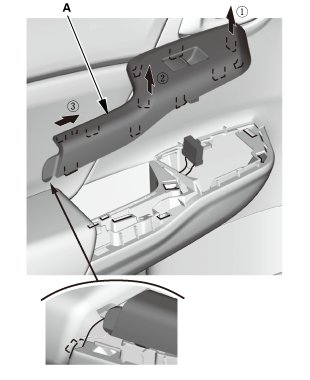 Remove the rear lower channel (A). 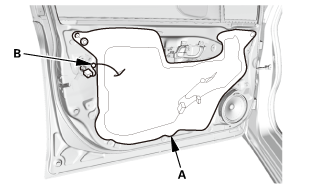 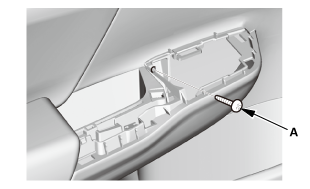 Install the rear lower channel (A). 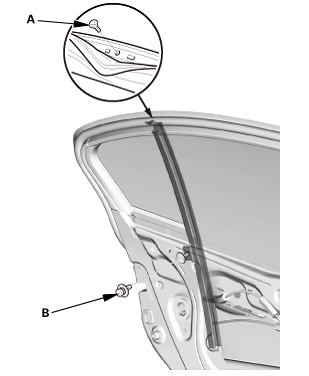 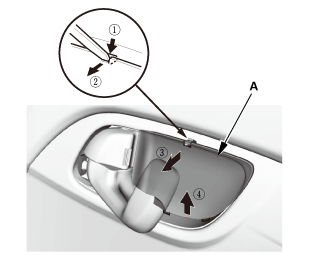 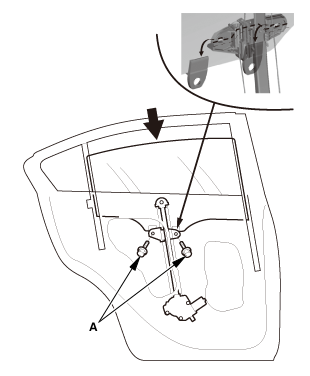 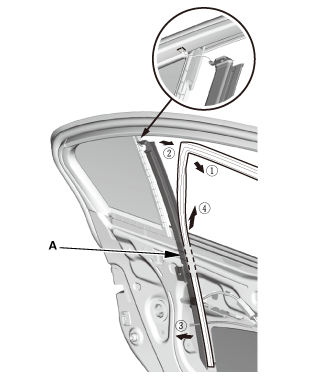 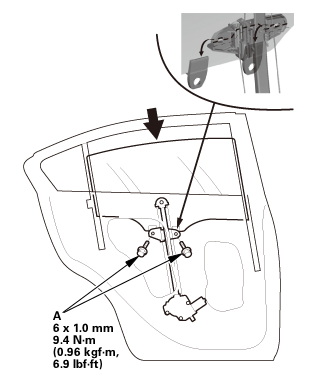 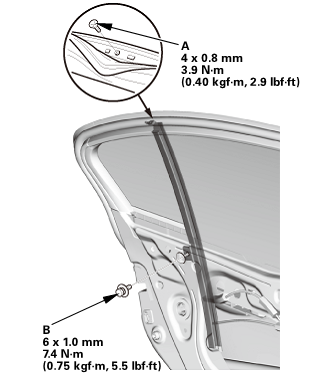 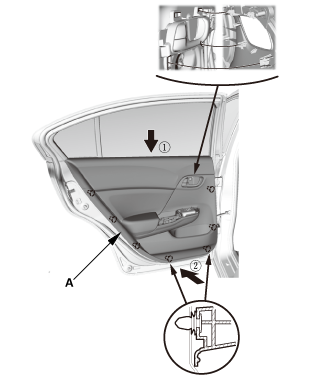 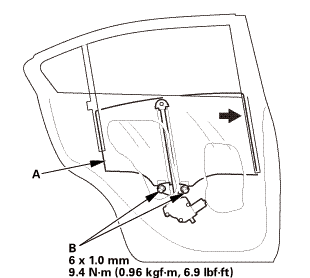 Install the screw (A) and the bolt (B).